Along with "innovation" and "disruptive", branding has become one of the most overused words in business. This is unfortunate since branding is such an integral part of any company. The concept of branding may seem like marketing fluff to many who believe that the products a company produces or the services they provide are the only things that matter. However, branding defines a company's identity. This doesn't just refer to the perception that others have of the company (although that is certainly an important aspect of branding), but the brand also serves as a guiding force internally. A clear brand identity sets the tone within a company, guiding operational decisions, customer service policies and company culture. One example of a brand guiding an entire company is Zappos. The company's brand revolves around their focus on customer service, starting with the company's "Family Core Values". These values are a driving force internally as well as a key tenet of the Zappos brand image. Or take Apple, whose focus on design and simplicity is not only present in its advertising, packaging, website and retail stores, but also guides virtually every product decision within the company, from hardware to software. 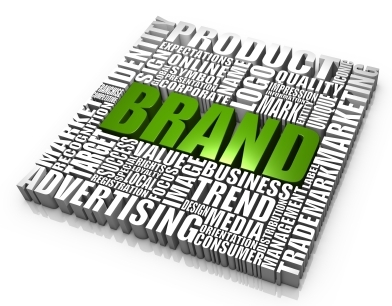 The most important thing to consider when building a brand is to remain consistent. If an advertising campaign focuses on customer service, but you have sub-par customer satisfaction, this message isn't going to resonate and you will quickly lose credibility. If your brand projects an irreverent, personable image, your customer service reps shouldn't be reading from robotic scripts. The most successful brands, the ones that stand the test of time, are those that have a strong identity both externally and internally.